Lululemon’s London flagship, designed by Dalziel & Pow. London-based creative agency Dalziel & Pow is responsible for creating some of the world’s most innovative retail spaces, from fashion flagships to playful interactive installations. RetailBiz spoke to David Wright, Dalziel & Pow marketing and business development director, about the future of retail and why the best stores might not sell anything at all. Why is it important for retailers to create an engaging in-store environment? We live in an age where brands increasingly battle for attention as they face greater and more diverse competition across the globe. With this unprecedented competition, and globalisation and connectivity putting the whole world at people’s fingertips, it’s more and more difficult for brands to find that point of difference—the Unique Selling Proposition (USP). With this in mind, the thriving brands of tomorrow are those that are now focusing more on ‘why’ they do what they do and ‘how’ they do it, while striving to deliver this story in ever more captivating ways. People today are becoming immune to traditional messaging; they’re less convinced by what brands say, they want to experience what brands stand for and how they behave… They’re free to shop wherever they want, whenever they want, enjoying fierce pricing wars and brands in competition for convenience and speed. Consumers want to experience what brands stand for. This is unsustainable, as ultimately these brands won’t be able to become any cheaper and any more efficient; it would simply be a ‘race to the bottom’. Instead, brands have to rise to the top by elevating their offer with a clear reason for existence, better ideas and more engaging experiences—regardless of the sector they’re in, their price point or their history of success. How do you work with retailers to achieve this? We ask our clients how they can become an engaging brand in their own market and build on their established position. A common trend that inspired our thinking was essentially how brands are focusing less on the USP in favour of the well-documented UExP—the Unique Experience Proposition. We have since developed something of our own: the Unique Engagement Proposition. This idea focuses on experiences that do more than merely exist and serve, but engage and influence behaviour to ultimately motivate sales and build brand advocacy. Defining the Unique Engagement Proposition in today’s ever-competitive brand and retail landscape is essential, and it needs to translate across all aspects of the customer experience. How do you create a Unique Engagement Proposition? Firstly, every brand is different; each has varying motivations and ambitions, as well as different benefits and barriers to customers. With this in mind, we have identified six useful ‘pillars’ to consider when creating a Unique Engagement Proposition. We start by defining the brand purpose, we express this with a brand personality, we create places, we motivate the people of the brand (staff, ambassadors and customers), we refine or reinvent the process (ways to shop, serve, educate and facilitate), and finally we advise on product offerings and identify areas for ‘brand stretch’. Together, these pillars exist to point businesses in the right direction to bring their purpose to life in unique and relevant ways. How does store design impact sales? Could you describe a recent Dalziel & Pow project and how you brought the brand to life in store? 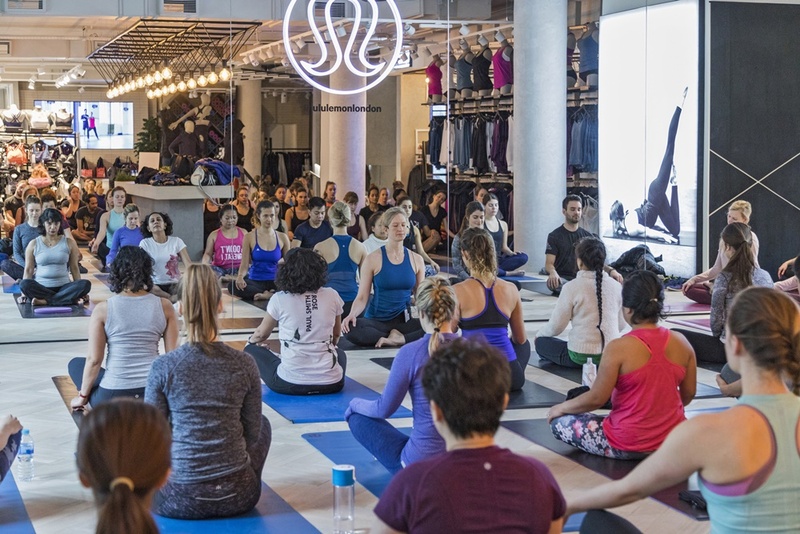 Lululemon’s new store on London’s Regent Street extends far beyond the high-performance product it sells to encompass fitness, nutrition and mindfulness. 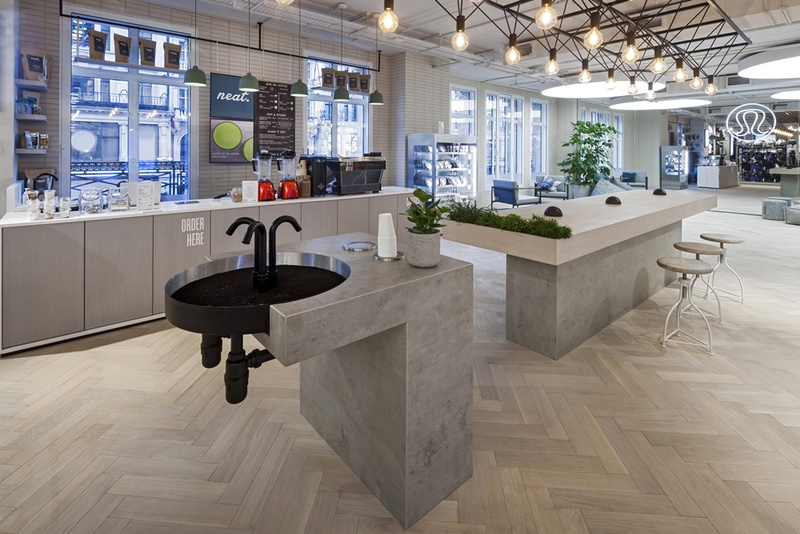 This 590sqm space is both a local London hub and a European brand flagship for the Canadian technical athletic apparel company. Somewhere to stretch, sweat, connect and enjoy the latest collections, it’s a retail space with a difference, helping people escape from the buzz of the city. Lululemon’s new store offers an escape from the buzz of the city. We conceived a raft of bespoke design elements to engage and activate the Lululemon community, from a concierge desk welcoming people into the store and a relaxing café area, to the mesmerising digital movement installation, interactive dressing room and expressive mannequin feature. Upstairs is the dedicated community space, curated to create a relaxed atmosphere and sense of belonging. It’s a flexi-space for yoga practice, including complimentary classes, and it also houses the first café from Neat Nutrition. The Vision & Goals wall encourages visitors to strive for greatness; this is an area for guests and store team alike to contemplate their ambitions and aspirations. How has retail changed over the past 5-10 years? A changing market is driving our industry forward at a relentless pace, and it’s our role to anticipate where customers are taking us. Retail design is not simply about finishes, lighting or colour; it now addresses bigger, more strategic questions. We’re creating more engaging, entertaining, interactive and ultimately more profitable experiences. Shoppers are looking for better use of their spare time, embracing hospitality, events and social-based activities in store. We’ve seen extreme format experimentation, from flagship to hyper-local boutiques from the same brands; these brands go where the customer goes, when the customer goes. Online retailers like Missguided are creating immersive offline experiences. 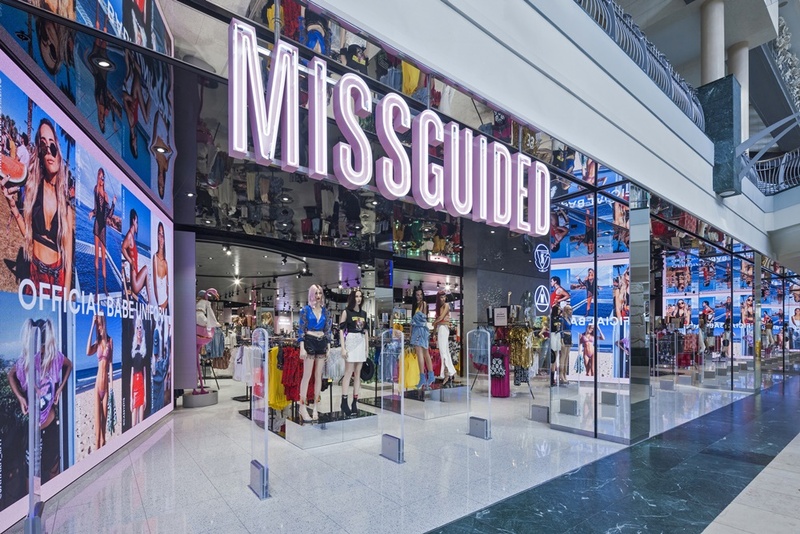 Pure play businesses like Missguided are launching new ‘conventional’ retail spaces to challenge the established players, doing it their way with confidence. Traditionally they offered the ultimate convenience, but when online brands occupy real estate they can step up with a truly immersive concept, heavy on attitude and experience. What advice would you give to retailers wanting to revamp their stores? From product curation to new format creation, brands/retailers that celebrate customer creativity and participation, while delivering convenience and inspiration at the same time, will be the thriving brands of tomorrow. The UExP describes how brands are building loyalty by offering new experiences that customers can take part in, and even shape, instead of simply being told what to buy or how low the prices are. Quite simply, they need to be engaging through the very purpose they’re inspired by, the personality they possess and the experience they offer. 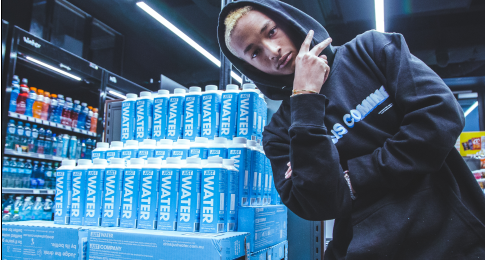 Retailers have to cater for their audience’s growing desire for self-expression, and they must engineer elements of discovery, serendipity and shareability throughout the journey. After all, we all love to have something new to share in a world where everything seems so accessible, or readily available. This experience-driven era is increasingly recognised by new brands and ecosystems, diverse store formats, integrated campaigns, experiential marketing, tactical collaborations, social platforms, playful interactions, convenient services and innovative touchpoints at every step of the customer journey. Brands that are behaving this way are the brands that are engaging the new era of customer, and will be the thriving brands of tomorrow.